The XJ50 marks fifty years of the XJ’s existence. The special edition model does not feature any mechanical updates. The XJ50 is priced at a premium of Rs 87,000 over the regular XJL sedan. Jaguar has launched the XJ50 in India, a special edition sedan built to mark fifty years of the British carmaker’s flagship XJ luxury sedan. Priced at Rs 1.11 crore (ex-showroom India), the XJ50 costs Rs 87,000 more than the regular XJL long wheelbase sedan (Rs 1.03 crore) in India. All prices, ex-showroom India. Just like the regular XJL, the XJ50 is available as a long-wheelbase version only. It is powered by the same 3.0-litre turbocharged diesel V6 that churns out 306PS and 689Nm of peak torque as the regular sedan, helping it hit an electronically limited top speed of 250kmph. 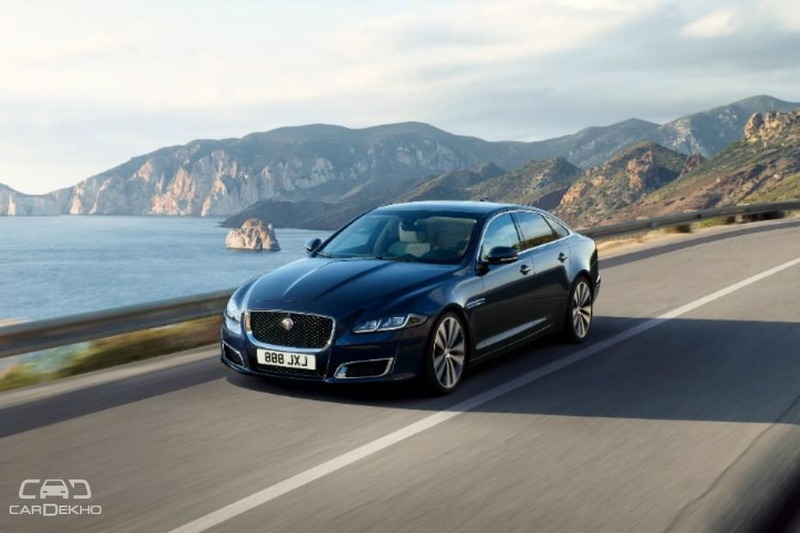 On the outside, the XJ and XJ50 can be distinguished by updated Autobiography-style front and rear bumpers, new 19-inch 10 spoke alloy wheels, ‘XJ50’ badging on the front fenders and bootlid and a chrome front grille. It can be had in four new colours - Fuji White, Santorini Black, Loire Blue and Rosello Red. Step inside and you are greeted by soft-grain diamond-quilted seats which have ‘XJ50’ embossed in the headrests. The XJ50 badging is present on the centre armrests too. Other than that, it also gets illuminated tread plates, anodised gearshift paddles and bright metal foot pedals. Apart from these changes, the XJ50 carries over all the features from the top-spec XJ sedan, the XJL Portfolio, sold in India. All of this carries a premium of Rs 87,000 regular XJ sedan. For that extra money, customers will definitely have some exclusivity. Its main rivals are the Audi A8L, BMW 7-Series and the Mercedes-Benz S-Class.